If hearing the word crop top conjures up scary images of belly-baring ‘90s pop stars, you’re not alone. It’s certainly not the easiest trend to style, and it takes a somewhat daring fashion sense (not to mention a toned tummy). But pulling off the crop top doesn’t have to be so intimidating. For one thing, a crop top doesn’t automatically mean a bared bellybutton. There are plenty of ways to style a crop top so that you are showing only a demure hint of skin, and not your whole stomach. 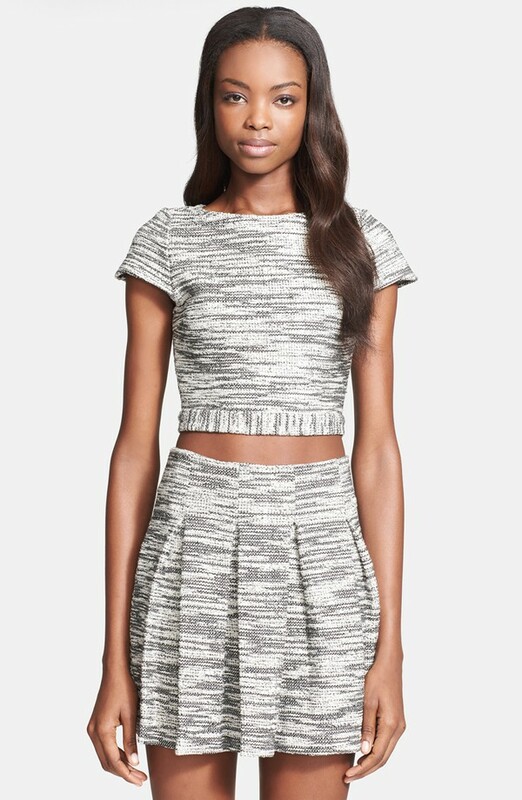 Like so many other styles, wearing a crop top is all about proportion play. To strike a balance with your tinier top, wear a high-waisted skirt or high-rise trousers on the bottom. That way, only a sliver of skin will be showing and you can keep this trend feeling ladylike. Definitely no low-cut jeans! (Again, this isn’t the ‘90s.) This Alice + Olivia look is right on point. 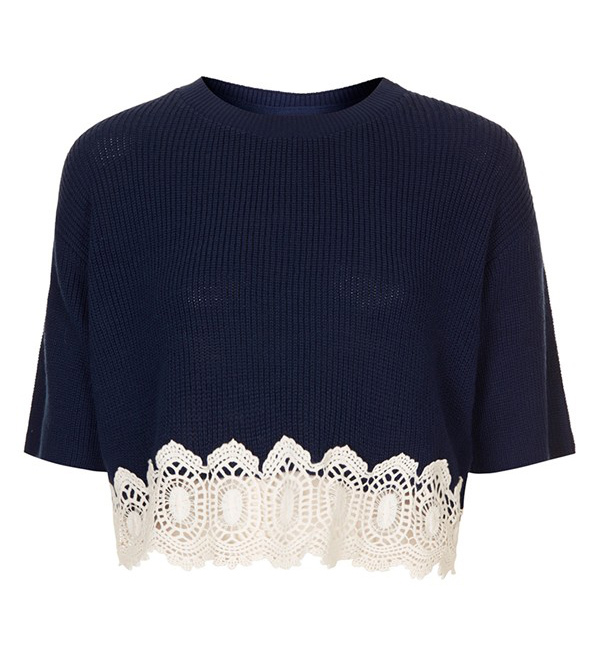 Wearing a boxy, cropped sweater might feel a little less scary than a skin-tight top. Luckily, there are so many cute styles of cropped sweaters this season. I love this one from Top Shop, with its layer of lace along the hem. If your tummy feels too exposed with a bare midriff, try layering an open cardigan, jacket, or blazer over your top so that only a hint of skin is showing in the front. Not only will this make you feel a little more covered up, but it’s also a great way to keep this look weather appropriate during the cooler spring months. Want to take part in the crop top trend without showing any skin at all? As I shared in my February Style Tips post (see no. 9), I love the look of a cropped sweater with a crisp button-down shirt underneath. Flat abs or not, anyone can pull off this chic look. There you have it! I hope these tips help you to feel a little more confident about trying out the crop top trend. Are you going to try this daring spring style?